Dr Trish Luker joined UTS Law in 2012 as a Chancellor’s Postdoctoral Research Fellow. Her research is primarily concerned with how, and on what basis, legal decisions are made. It focuses on two areas: analysis of legal decision-making and court processes; and evidentiary assessment, including theories of the documentary form in law. Trish has a number of research projects that reflect her research interests and expertise. She is a leader of the Australian Feminist Judgments Project (ARC DP120102375), which investigates the possibility of feminist approaches to legal decision-making. In the Court as Archive project (ARC DP130101954), she has made important contributions to understanding the archival responsibilities of courts. Her current project (with Katherine Biber), called What is a Document? (ARC DP160100414) investigates the challenges to evidence law brought about by the shift to the digital age. Trish is a Convenor of the UTS Law Feminist Legal Research Group. She is the President of the Law and Society Association of Australia and New Zealand and a management committee member of the Law, Literature and Humanities Association of Australasia. 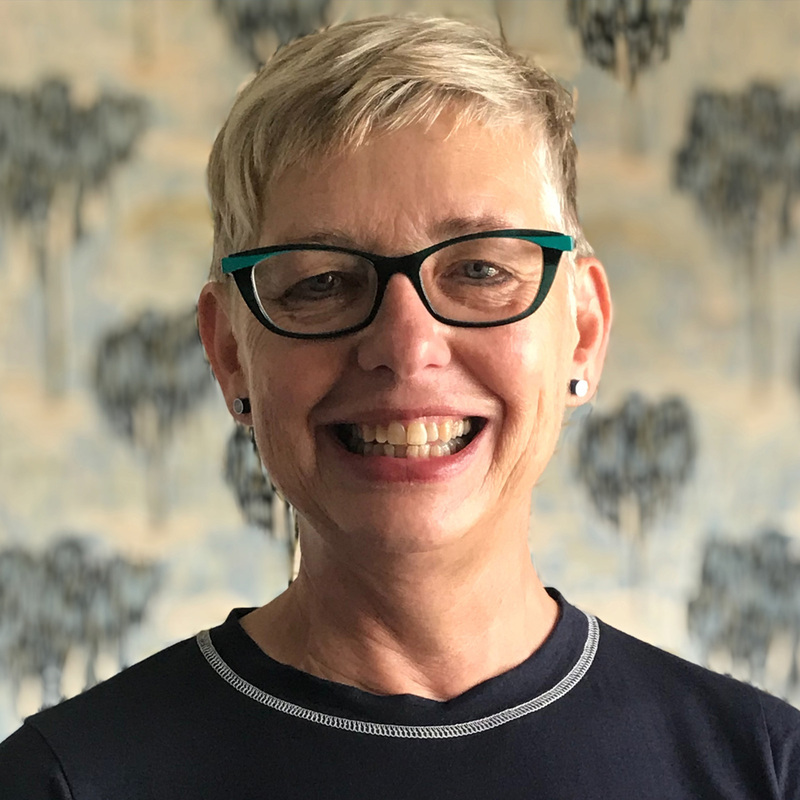 Previously, Trish has worked as an author, editor and communications professional at the Victorian Law Reform Commission, the Federal Court of Australia, the State Library of New South Wales and the Tenants Union of Victoria. Bartlett, F, Luker, T, Douglas, H & Hunter, R 2014, Australian Feminist Judgments Project Righting and Re-Writing Law. This book brings together feminist academics, lawyers, and activists to present an impressive collection of alternative judgments in a series of Australian legal cases. removal, institutionalisation and abuse of Indigenous children. propriety of archival records in 'reconciling' settler colonial states. In a substantial study into the relationship between law and history in Australian jurisprudence, Curthoys, Genovese and Reilly found that when historians appear as expert witnesses in Australian courts, they have often not been well received. While it is acknowledged that historians have particular skills in identifying relevant sources in archives, Australian courts have generally been resistant to the idea that they bring special interpretative skills, because lawyers and judges believe that the hermeneutic processes involved in the interpretation of historical documents is a skill in which they are already well versed. A number of developments have occurred in relation to the role of historians as experts in the decade since this study. For example, the Federal Court of Australia has introduced procedural rules for expert conferences and for the production of concurrent evidence of expert witnesses. In this article, I will discuss the legal reception of expert opinion evidence from historians through an investigation of what has happened in the period since the mid-2000s. This research suggests that the collision that occurred between historians and the law during the 1990s subsequently resulted in an impasse between the disciplines of law and history. Legal counsel are disinclined to call historians as expert witnesses; historians themselves have resiled from the role of witnesses, and have been critical of courts' failure to recognise the particular value of their skills in reading an archive. The article will report on empirical research conducted into the role of historians as expert witnesses in Australia and will include reference to transnational research conducted in New Zealand and Canada. Refugee law posits the refugee as a rights-bearing subject prior to legal recognition. The determination procedures from which legal protection may be availed to a person escaping persecution demand that the applicant be recognizable as a subject entitled to laws power to name her as a refugee. In this article, I draw on speech act theory to investigate the rhetorical structure of refugee recognition. Viewed as a performative speech act, refugee subjectivity emerges as a result of repetition and citation of tropes of refugee-ness, which function to legitimate and naturalize certain representations as evidence of the grounds for protection. This places applicants in a paradoxical position: they must attempt to deliver their evidence as a performance of refugee-ness, but in making the narrative recognizable and understandable according to the norms of the legal process, the singularity, and possibly the authenticity, of the account may be lost. The argument is supported by empirical research conducted at the Australian Refugee Review Tribunal. The increasing global magnitude and exigency of refugee status determination is resulting in recent attention to the parameters of credibility as part of evidentiary assessment in refugee law. In Australia, as in other countries, it is well recognised that applications for review of primary level decisions on refugee status commonly fail on the basis of credibility evidence. Furthermore, it has been suggested that the assessment of credibility is likely to be a source of error in decision making. This article reports on the results of a small-scale study into decision making and credibility assessment at the Australian Refugee Review Tribunal involving interviews with decision makers. Drawing on feminist theories of epistemic responsibility, it argues for a revised standard of proof, suggesting a rebuttable presumption of credibility, or truthfulness, on the part of the applicant seeking asylum. Such an approach may go some way towards addressing the potential for epistemic injustice and is consistent with a position of epistemological responsibility demanded by an ethical obligation to the refugee. Luker, T 2012, 'Book Review: Aboriginal Child Welfare, Self-government and the Rights of Indigenous Children by Sonia Harris-Short', Aboriginal History, vol. 36, pp. 189-191. Luker, T. 2010, 'White Mother to a Dark Race: Settler Colonialism, Maternalism, and the Removal of Indigenous Children in the Americal West and Australia, 1880-1940, by Margaret Jacobs', International Journal of Critical Indigenous Studies, vol. 3, no. 1. Concerns about the ramifications of a rapidly ageing population have generally focused on the post-retirement period, with limited scholarly attention to the experience of ageism in the workplace. Despite a shift in policy against early retirement, Ê»older workersÊ¼ â who may be as young as 40 â are disproportionately experiencing age discrimination, often resulting in joblessness. We argue that in a postmodern environment, where the culture of Ê»youthismÊ¼ predominates, the workplace is undergoing significant changes. In the new knowledge economy, characterised by technological knowhow, flexibility and choice, traditional values such as maturity, experience and loyalty have become passÃ©. Drawing on Australian complaints and reported decisions of age discrimination in the workplace in the context of the international literature, we demonstrate the variety of forms ageism is taking. We argue that age discrimination legislation reflects an outdated modernist paradigm that fails to address the experience of older workers. In addition, as part of the culture of youthism, work is now being gauged by its capacity to create an aesthetic of pleasure. Neoliberal employment strategies, immigration policies, economic globalisation and the events of 9/11 have created new environments for racism in Australia. In this article, the ramifications of the shifting political environment on race discrimination against ethnicised Others in employment since 1990 are examined, with particular regard to the post-9/11 period. Drawing on complaints made to anti-discrimination agencies and decisions of courts and tribunals, it is argued that there has been a contraction in the ambit of operation of the legislation through the application of exemptions and a heightened burden of proof for complainants which has had a chilling effect on the jurisdiction. Drawing on David Goldberg's thesis of the racial state, it is posited that in the contemporary political environment, the state is active in producing and sustaining racism. Luker, T 2005, 'Intention and Iterability in Cubillo V Commonwealth', Journal of Australian Studies, vol. 84, no. 1, pp. 35-41. It is an indispensable part of the liberal legal response to biopolitical violence. This collection challenges established approaches to transitional justice by opening up new dialogues about the problem of assembling law's archive. Luker, T, Douglas, H, Bartlett, F & Hunter, R 2014, 'Introduction: Righting Australian Law' in Douglas, H, Bartlett, F, Hunter, R & Luker, T (eds), Australian Feminist Judgments: Righting and Rewriting Law, Hart Publishing, Oxford, UK, pp. 1-18.